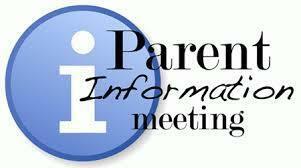 There will be a Parent iPad meeting for Grades 1-3 on Monday, October 15 and Tuesday, October 16 from 5:30 - 6:15 pm in the Selma Elementary Cafeteria. Parents should pick one evening to attend. Students in grades 1-3 will begin taking their iPads home on October 17 or once all necessary forms are returned to school. Important information about this will be shared at the meetings. Students do not need to attend.